with a brand new baby, timing a shoot right can be challenging. let's face it, we often face challenges when we're shooting for that "golden hour" light. i was determined to do a "back to school" shoot for my daughter, so i planned to shoot in open shade right after lunch. on my way to the predetermined shady spot, i saw this brilliant little nugget. a perfect back to school location! my first reaction, "i am so coming back here in the right light!" my second thought, "get real! you aren't gonna be back any time soon." i was so right the second time! so i jumped out and set up a few shots! obviously, the light is not optimal! and when she opened her notebook, the reflected light was insane. but i was so happy i played a little. 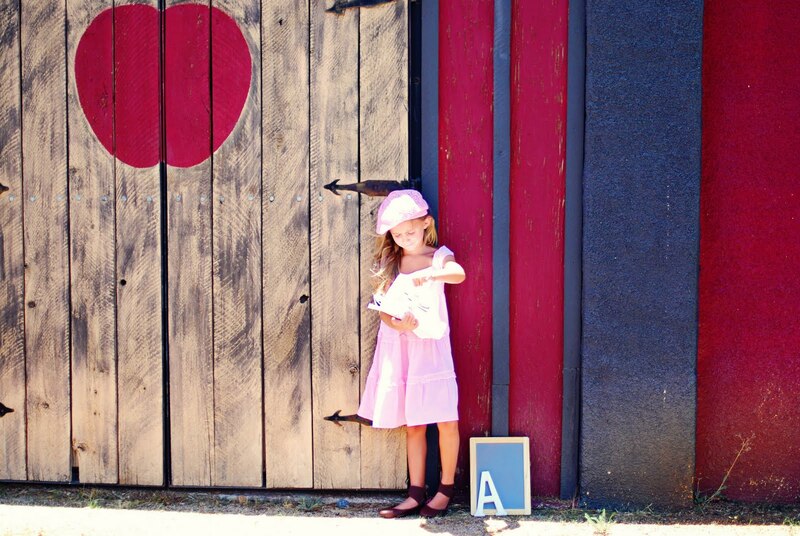 first, i have a great little shot to show a great back to school location for some mini sessions. and second, i challenged myself a little shooting in a less than perfect spot. the shots i got here are not technically perfect, but i love the feeling they emote! Tip of the Week: Ready - Set - MCP Actions!!!!! !